Two nearby charter school operators have expressed interest in running a besieged elementary school in the Mojave Desert town of Adelanto, ending worries of organizers of the state’s first successful “parent trigger” that their invitation for applicants to take over their school might go unanswered. Organizers of the Desert Trails Parent Union announced Tuesday that they have invited the two charter operators and a non-charter school improvement consulting firm to submit a formal charter school application by Sept. 21. They rejected a fourth group, a for-profit consulting firm, that had submitted an inquiry by last Fridays’ deadline, and they expressed disappointment that the Adelanto School District failed to take up their offer to partner with them in transforming Desert Trails Elementary. “The parents reached out and asked the District multiple times to submit” a letter of inquiry, said Doreen Diaz, head of the Parent Union. “A partnership ultimately takes two to work.” So now, she said, parents are ready to move on. LaVerne Elementary Preparatory Academy and the High Desert Partnership in Academic Excellence Foundation, the two charter operators, will offer the Desert Trails parents a distinctive choice. Both are based near Adelanto, in southwestern San Bernadino County off I-15. Both have API scores in the mid-800s while downplaying standardized testing, both say they have long waiting lists to enroll, and both cite parent engagement as a strength. The High Desert Partnership, also known as the Lewis Center for Educational Research, operates two STEM-based charter schools and a student-run radio telescope with ties to NASA and the Jet Propulsion Laboratory. LaVerne Elementary Prep, a 400-student K-8 charter school in Hesperia, offers what executive director and founder Debra Tarver calls a classical education in which students learn Latin as well as French and Spanish, and read the Odyssey, J.R.R. Tolkien’s The Hobbit and classical children’s literature. Desert Trails parents probably couldn’t ask for clearer differences in educational philosophy. Many charter operators shy away from taking over an existing school, especially one that will be born out of controversy and division. But Tarver and Rick Piercy, president and CEO of the Lewis Center, say the high desert region is a close-knit community, and the students in Adelanto are similar to the students they teach: primarily Hispanic and African American in a region hard-hit by the recession, with unemployment in Adelanto above 25 percent and average home prices falling by two-thirds, in six years. The Lewis Center operates the Norton Space and Aeronautics Academy, a dual-immersion Spanish-English K-6 charter in the city of San Bernadino that will expand to a K-12 charter by 2018. Its first charter, the K-12 Academy for Academic Excellence, opened in 1997 and now is on three campuses in Apple Valley. Piercy says the school has tracked 61 percent of its graduates, 80 percent of whom report having completed or are attending college, including a recent graduate from the London School of Economics. The Parent Union is requesting a comprehensive charter proposal, including details on how the charter operator would inform and involve parents in the school. Diaz said that parents would visit both LaVerne Elementary Prep and the Lewis Center’s charters over the next month. @Chrissy, Parent Revolution was probably just too busy sending out propaganda, lying* in testimony to legislatures in other states to get parent trigger laws passed there, and snaring more grant funding to think about how to actually improve Desert Trails if they got their hands on it. They have their priorities. you know. *One of Parent Rev’s hired staff claimed in testimony to the Florida state legislature that there have been many examples of successful parent triggers — actually, as we know, there have been zero. A legislator called him on it. Another of Parent Rev’s hired staff testified to the Florida legislature that she and other mothers started the organization. 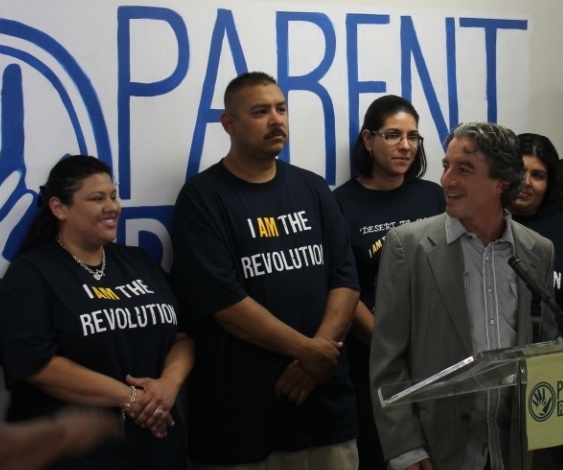 Actually, as clearly described in the Los Angeles Times at the time, Parent Rev was founded in 2009 by Steve Barr, founder of the Green Dot charter school chain. @Chrissy, I hope you and like-minded parents are contacting national and local film critics to make sure your perspective is included in their reviews of “Won’t Back Down”, the film that fictionalizes the parent trigger. This movie is nothing more than propaganda meant to influence policy that in fact, marginalizes authentic parent empowerment. Parents like you need to be heard in equal measure! THEY SPENT A WHOLE YEAR TRYING TO TAKE OUR SCHOOL AND A JUDGE SAYS “here you go” and their response is … OH WE AREN’T READY TO TAKE OVER THE SCHOOL… WHAT HAVE YOU BEEN DOING FOR A WHOLE YEAR… JUST LYING AND MANIPULATING?? You’re telling me NO REAL WORK was done to secure a decent school for our kids if you won… I take it they didn’t expect to win, so they sat around DOING NOTHING. This shows you just the kinds of people who will be in charge of our school if P Reve gets to take over. It’s sad to say, but I feel sorry for Desert Trails after this year if they get their school. I hope the district appeals and the judge can hear more about the parents who DO NOT want this and were lied to, manipulated and completely excluded, instead of how teachers are trying to take down our education system!! All I know, is this is going to be the BEST YEAR EVER at Desert Trails Elementary. The school finally has everything in place to be fantastic and IT WILL BE. We will prove you don’t need P Rev to come in and destroy your community to get the school you deserve. We will do it OURSELVES and YOU CAN TOO! I’ll just describe what went on in Adelanto so it’s clear to all why parents would have wanted to remove their signatures. The parents circulating the petition (with the “help” of Parent Revolution, which rented a space for a home base near the school for the petition drive) created a list of demands for their school, and that was the petition they intended to circulate. The demands included some “reformy” stuff like the parents being able to hire the principal, but also included some resources dearly desired by teachers and teachers’ unions, and implicitly or openly opposed by the “reform” forces that back Parent Revolution. Those included smaller classes and more funding (which are denounced by “reform” voices such as Bill Gates and Michelle Rhee); more enrichments such as arts, music, science and P.E. (which “reform” policies eliminate due to the total emphasis on test prep); and more resources such as counselors, a nurse and yard supervision (the “reform” voices say public schools don’t need more funding, so they implicitly oppose meeting those demands). During this process, administrators point out that providing those resources to Desert Trails would require taking away from other schools, which seems valid, but that’s a side issue. Anyway, Parent Revolution also circulated a second petition, calling for the school to become a charter. They told the parents this was just for leverage. Then they submitted only the charter petition. Parents on both sides have said they don’t want the school to become a charter. Even a “reform” loyalist, if honest and thoughtful, would have to admit it’s understandable why parents would want to rescind their signatures given that situation. So the judge’s ruling disempowered parents. As does the quest to find a charter operator to take over the school. The propaganda and misreporting of this situation is disheartening, though sadly not a surprise. Presumably the parents at Desert Trails will be given the inaccurate story that @Mary told here, the inaccurate claim that immersion students “far exceed their peers academically in junior and senior high schools,” if the question of the Norton Space and Aeronautics Academy’s low API comes up. Here’s the answer to a question nobody asked: Broad money. The question? What does it take to fertilize astro-turf? Like most fertilizers, it accomplishes its task, but my, oh my, do you ever have to hold your nose. The plastic facsimile of parent rule in this community, Parent Union, is the creation of Broad front-group Parent Revolution. The press, failing again to unmask those pulling the unwitting parent’s strings. As in Compton, Broad and his imp, Austin, failed to get the majority of the school community behind the proposal. In this case, an activist judge decided to create a figment of the appearance of a majority by disallowing a group of parents from removing their names from a petition once they discovered the truth beneath the hype. So much for democracy. I guess they didn’t have a democratically elected school board in that town. They did you say? Well, as I was saying about democracy…. My sentiments exactly!! There is a dual-immersion school in Adelanto, 2 miles away from Desert Trails. Their API well exceeds 650. That’s if Adelanto parents get full and accurate information. The press is key to that, and I hope they will be doing their due diligence and not just rewriting press releases. I’ll try to do my part as a volunteer mommy blogger, but there’s very well-funded propaganda machine operating at full throttle. Research shows that dual immersion students do take a dip in scores in the third grade, but that is because they are learning to read and write in two languages. If they stick with it, they far exceed their peers academically in junior and senior high schools. I’m a big booster of dual immersion, @Mary, and as I mentioned we have many successful and popular immersion programs in SFUSD. And I’ve written about language immersion programs as a journalist. But sorry to burst the bubble: It’s just not accurate to make a blanket claim that immersion students “far exceed their peers academically in junior and senior high schools.” Research and reality simply do not show that. Please, no magical thinking here. We have enough of that stuff coming from the parent trigger, “reform” and charter boosters. Sorry, this was off topic, and I also apologize for spamming, but “silver bullet” claims just can’t be left unchallenged. There’s no question in my mind that dual immersion is good for kids and that I think the majority of kids would be better off if it were the rule rather than the exception. However, I think it’s pretty clear also that any school with such a program should expect lower STAR test results. Which just goes to show that the STAR doesn’t really measure what we most want to know and measure accurately. Right. It would be appropriate to give parallel information in your initial reporting in such cases — the same for each school. If you put the asterisk on the low Norton API (language immersion), you also have to put the asterisks on the other two schools’ high APIs (they do not serve populations representative of their school districts). Unverifiable self-reported claimed (years-later) college-going figures and unverifiable self-reported claims of “long waiting lists” are of dubious journalistic value. A more detailed look at Lewis Center’s schools is important, and I’m glad you picked up on some of the differences. I assume Adelanto parents will be asking similar questions in weeks to come and in reviewing the applications. Although I would love to believe that a large group of Adelanto parents will be reviewing the applications in full and visiting each school and interviewing their potential administrators… probably the time to do this with full diligence is on order 40-60 hours per evaluator. I hope they have some solid, thoughtful parents they trust with the time to put into this. Sorry, one more point. I’m trying to say this gently and politely. It appears, John, that you made a point of selecting stats that reflected well on the charter schools, since you obviously did research the APIs — yet you conspicuously didn’t mention the low API of the Norton Space and Aeronautics Academy but instead used its self-reported (and entirely unverifiable) college-going rate. Is the coverage here on EdSource Today expected to be unbiased, or is it acceptable to reflect the reporter’s personal point of view? If the former, I’d say that area needs further attention. If the latter, fine, as long as that’s clear. The most eye-catching piece of information here, in my opinion, is that the Norton school’s API is so much lower than Desert Trails’ API, given that it’s the only one of these schools that serves a population representative of its district. I am opsenly partisan (as an outspoken skeptic about the parent trigger and the charter and education “reform” sector), but I honestly believe that an unbiased observer would agree with me. Caroline: You are correct about the 650 API score of Norton Space and Aeronautics Academy in San Bernadino, the dual immersion school whose test scores cover grades two through four, the first three years since it was started in 2008. Norton plans to build out a grade each year through 2018. The math scores on the CST were higher than the English language arts, not uncommon for dual immersion scores in the lower grades. Adelanto parents will want to focus on this year’s scores for the fifth grade, due out at the end of the month. They certainly would want to choose a school that raises achievement above the already low 711 API at Desert Trails. I’ve never been inside Desert Trails, nor the charters under consideration. I hope a group of concerned parents familiar with the inside of Desert Trails will be *visiting* each of these other schools and seeing what they are like from the inside rather than just reading a report and looking at some numbers. The whole point of the alternative curriculum schools – and each charter you list appears to be – is to not teach to the STAR exam. Any time you are choosing a dual immersion school – and many parents do; they tend to have long waiting lists – you are explicitly choosing a school whose curriculum does not match the STAR exam expectations and thus may well have a lower API, especially at first. Radio astronomy is really cool. I highly approve of using it in a K-8 curriculum path. (I hope the school also serves kids who aren’t so much interested in science well.) But, there’s no radio astronomy on even the 5th grade STAR that doesn’t count towards API. The benefits you hope to get will be reflected later, not so much the same year. Would I pick a school that lowered my daughter’s STAR results if she was getting an exciting and motivating project exposure to radio astronomy or other space science? In a heartbeat. I agree about not living and dying by test scores, @el. But the public schools are judged based on their test scores — Desert Trails Elementary, the target of the parent trigger under discussion, has been attacked and shamed savagely in the national press for its low scores. The viewpoint that there are more important things than test scores needs to be part of the ENTIRE national policy conversation, not selectively applied to a charter school while test scores are used as a weapon against high-poverty public schools. My kids attended a public arts high school that focuses very heavily on nine arts disciplines, with students spending three hours a day working on their specific art. It’s still judged by its API. Here in San Francisco, we have quite a number of language immersion schools (I don’t mean bilingual ed for ELL students but two-way immersion) — it’s something SFUSD does very well and gets little praise for. But they’re still judged by their API. Oh, certainly, @Caroline. I get your point and was just poking at John (sorry John! 🙂 ) from a different direction. That it’s not an “of course” criterion at all. And what if they choose a school with a lower API? What if the API goes down? How long before a new Parent Trigger can be pulled, if parents so choose? There’s nothing, by the way, that prevents a regular public school from being involved with the radio telescope and the NASA school partnerships except for time and money. Such a shame that so much has been wasted on legal maneuvers instead of just creating partnerships with the private foundations and building out some of those programs. The foundations could sponsor one staff member with interest and expertise in a STEM field for each local school and probably get the same kind of effects. 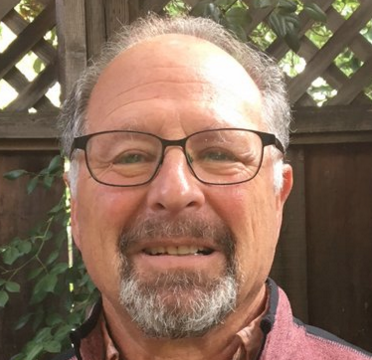 Anderson Valley High School in northern California lucked into such a teacher, for example, and is having students launch homemade probes into the stratosphere with a few thousand dollars worth of additional fundraising. I looked at the track record of the existing charter schools those two operators are running. Laverne Elementary Prep and the Academy for Academic Excellence both have high APIs, over 800, but do not serve populations representative of their school districts. Both enroll significantly fewer (than district percentages) of the subgroups that are (overall on average) statistically likely to be low-performing: Latino students, African-American students, limited-English speakers and students qualified for free/reduced price lunch. The Norton Space and Aeronautics Academy in San Bernardino enrolls a population representative of its school district, but has an API significantly lower than the API of the parent trigger school, Desert Trails Elementary in Adelanto.